Lemon, lemon, lemon…there’s no such thing as too much lemon! So here we have yet another lemon recipe (I just can’t help myself!). I’m headed to Santa Cruz today to see the Cockerham-Bauhofer bunch – I CANT WAIT! 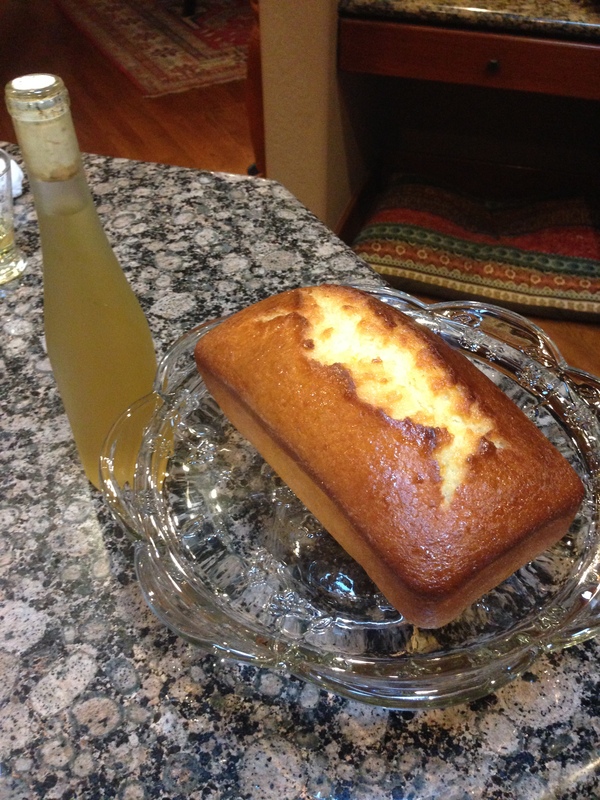 I thought lemon yogurt cake with Limoncello would be the perfect treat (my dad makes homemade Limoncello from our Meyer Lemon tree) to bring. I don’t know about you, but I LOVE Ina Garten. The Barefoot Contessa Cookbooks are always a go-to! 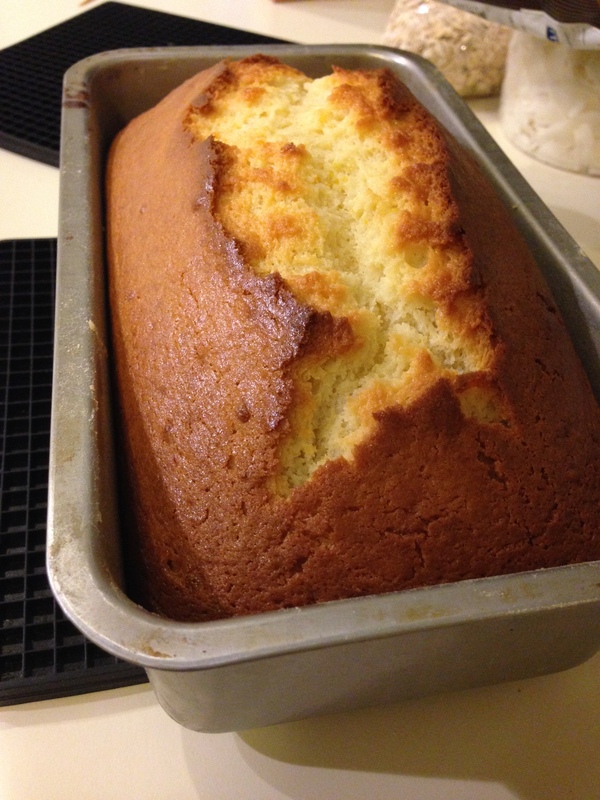 I was excited to make Barefoot Contessa’s Lemon Yogurt Cake (which is really just a loaf). Preheat the oven to 350 degrees F. Grease an 8 1/2 by 4 1/4 by 2 1/2-inch loaf pan. Line the bottom with parchment paper. Grease and flour the pan. I tried to use oil, but I found that it didn’t work quite as well as butter. Sift together the flour, baking powder, and salt into a bowl. In a large bowl, whisk together the yogurt, 1 cup sugar (I used a little less), the eggs, lemon zest, and vanilla. Slowly whisk the dry ingredients into the wet ingredients. With a rubber spatula, fold the vegetable oil into the batter, making sure it’s all incorporated. Pour the batter into the prepared pan and bake for about 50 minutes, or until a cake tester placed in the center of the loaf comes out clean. Keep an eye on it to make sure it doesn’t get too brown on top! Meanwhile, in a saucepan, heat the lemon juice and remaining 1/3 cup sugar in a small pan until the sugar dissolves and the mixture is clear. Set aside. 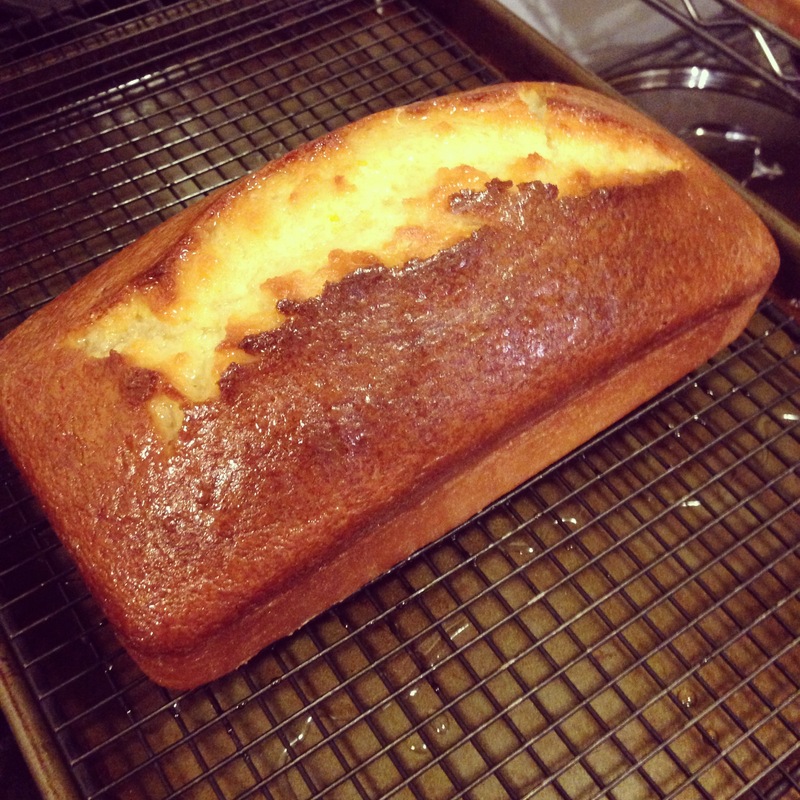 For a less sweet option, you could leave off the glaze for more of a lemon loaf. Perfect for morning coffee! Speaking of…while we had the oven on, we decided to continue baking. 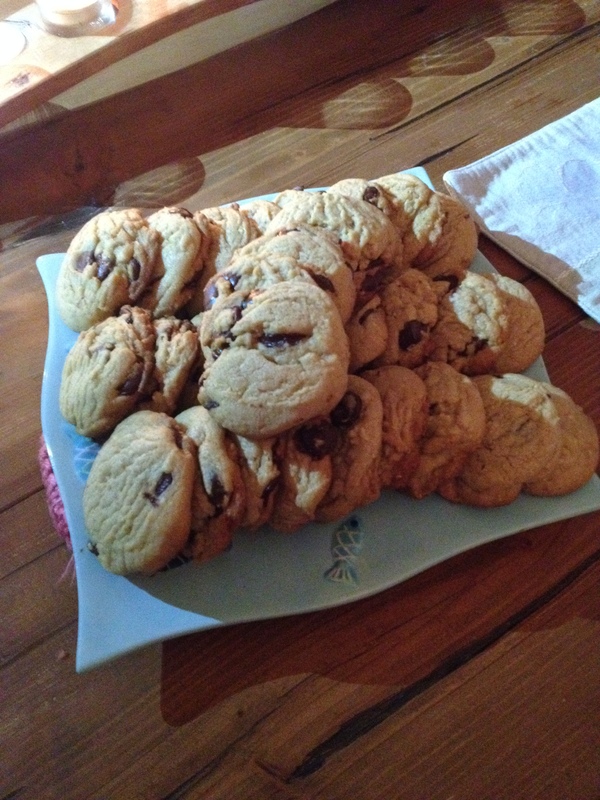 We being me and my mom – we had a mother-daughter baking night! Homemade granola makes the house smell delicious. 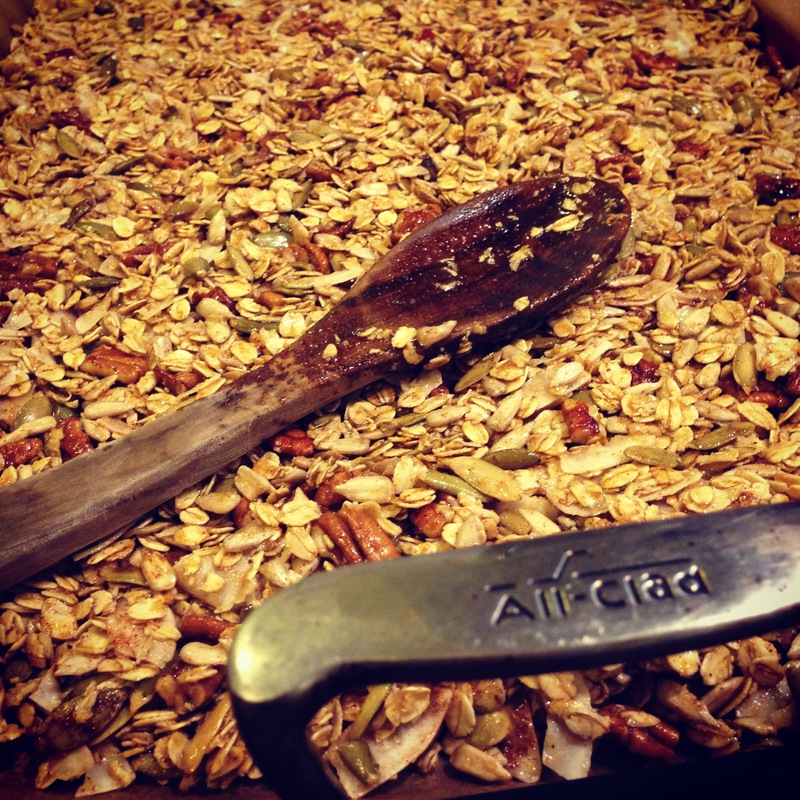 We use oats, coconut oil, coconut flakes, honey, pumpkin seeds, pecans, dried cherries…a bunch of good stuff! My parents are going away for the weekend to spend the weekend at a beach house in Bodega Bay with friends. My mom wanted to make cookies to bring. Again, Barefoot Contessa is the go-to! What could possibly be a better combination than peanut butter and chocolate?! Peanut Butter Chocolate Chunk Cookies, yes please! Combine first 6 ingredients in a large bowl. In a small bow, sift flour, baking powder, and salt. Add to wet ingredients, just to combine. Stir in chocolate. Bake at 350 for 17 minutes. 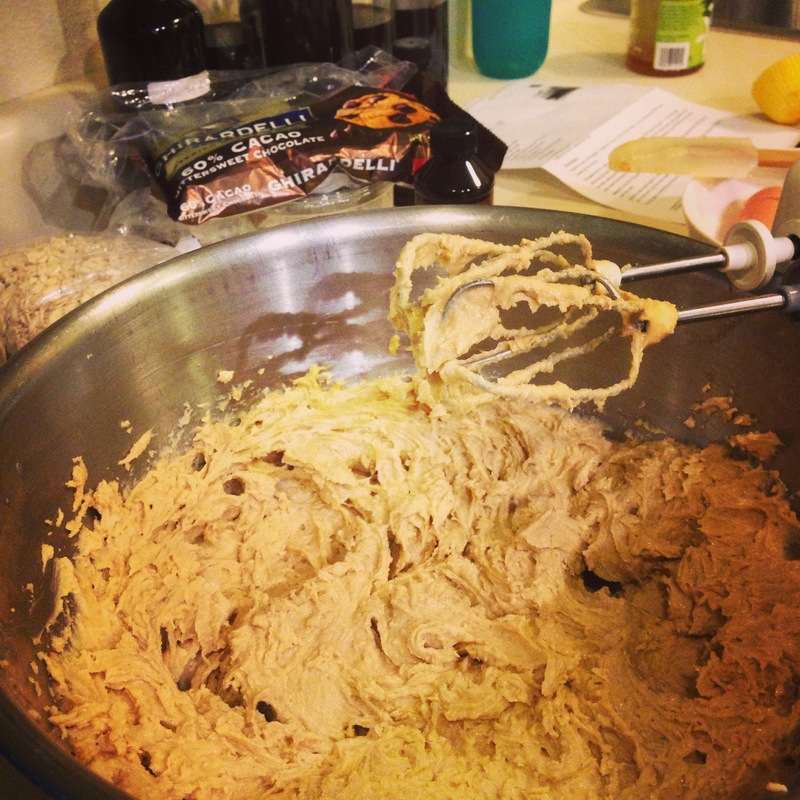 Cookies will seem underdone, but do not let brown on top. We made the batter and put it in tupperware in the fridge, so she can bake them fresh when she gets to Bodega Bay. So…I only got to taste the batter, but BOY was it delicious! 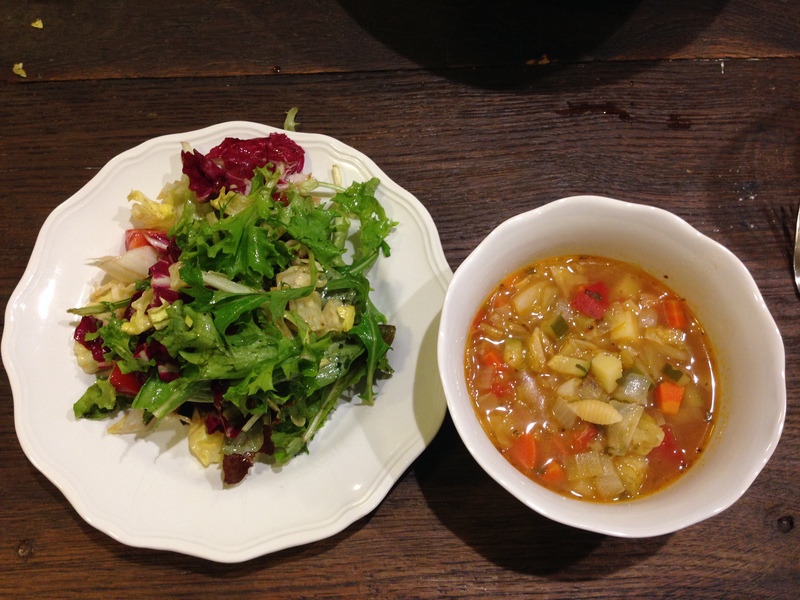 Meanwhile, my dad was cooking up a storm making Minestrone Soup from the Silver Palate Cookbook. It’s a recipe we’ve made repeatedly over the years, altering it each time depending on what we are in the mood for. Ingredients that you can add or leave out are beans, pasta, potatoes and meat. Beans, any beans! Kidney beans, Great Northern beans, Cannellini beans, etc. are all good choices. Pasta: any type of pasta you prefer, I’ve even added mini cheese raviolis! Also, sometimes I leave out the potato for a healthier soup. Meat: the recipe calls for pork, but we always do vegetarian. A great option for those that eat meat is to roast some chicken and put it on top. This time, we left out the beans and added a shell pasta. Make a fresh mixed greens salad with radicchio and a balsamic vinaigrette and BAM, the perfect dinner, perfect for a cold night!